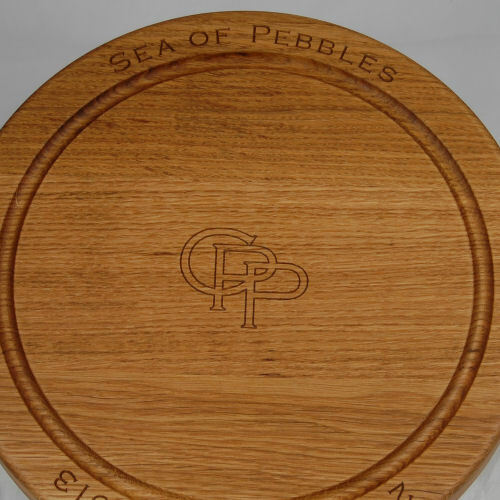 Our traditional circular bread boards are available in three sizes – 30cm diameter, 38cm diameter or 42.5cm diameter and two thicknesses – 2.7cm or 4.0cm, with a single crumb groove running approximately 2.5cm inside the perimeter of the board. 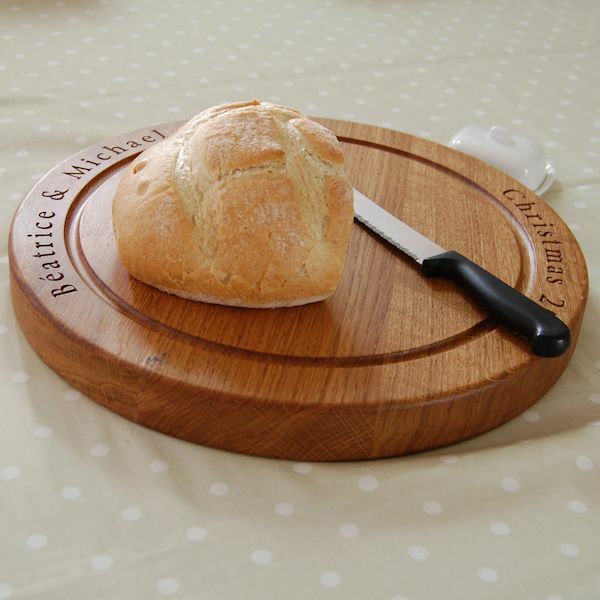 Our round bread boards are available with optional recessed handles. 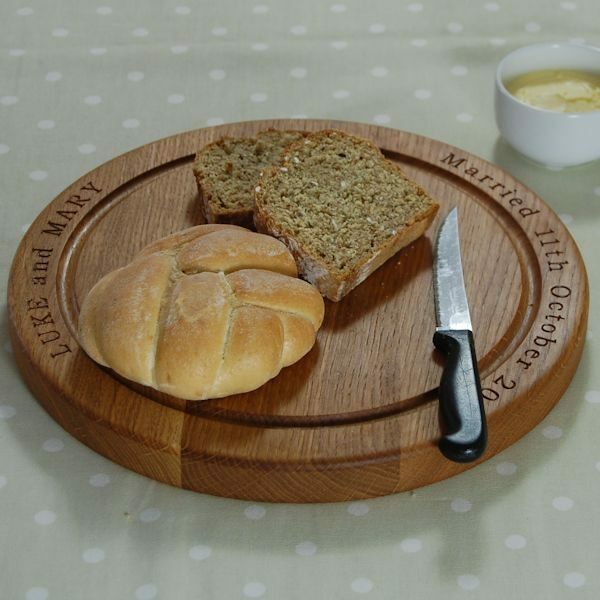 Each round board is made from full-length stave oak and may be personalised with your own message or a design from our range of 2D and 3D motifs. We can also create your own unique personalised cipher. Popular engravings include the obvious Bread, White and Brown as well as Gluten Free. 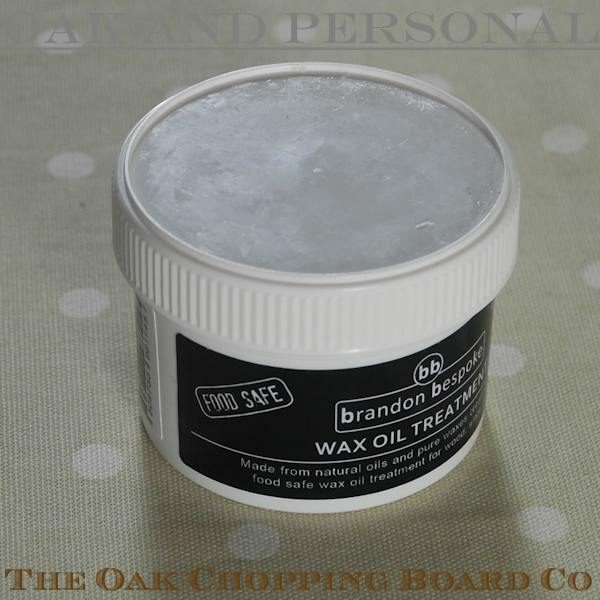 Wood is naturally anti-bacterial but additionally we will treat your wooden bread board with a thorough application of a blend of natural oils and waxes before it leaves our workshop. The finish primarily contains food-grade white mineral oil and beeswax, and along with other natural oils and waxes, provides solvent-free, 100% food-safe protection. To maintain the beauty and durability of your bread board we recommend it be periodically treated with Brandon Bespoke Wax Oil Treatment. 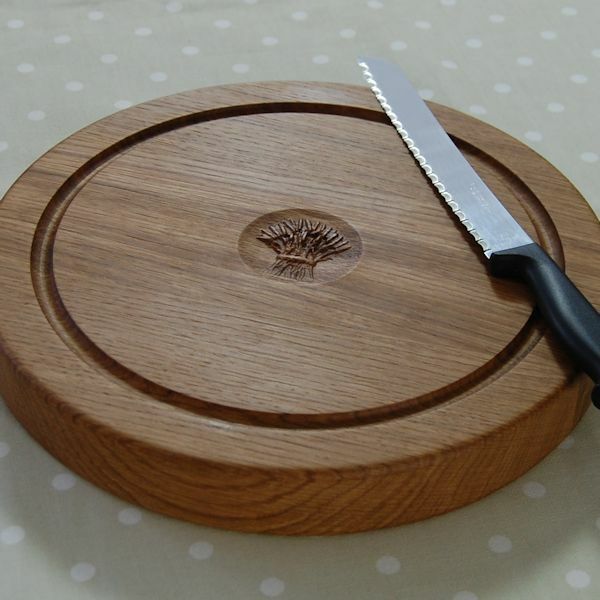 Just wanted to let you know that our chopping board has arrived and it is beautiful. Thank you so much! Only 6 and a half years after we got married – it was meant to be my husbands 5th wedding anniversary present and has been on my to do list since then! Very much looking forward to giving it to him later. It has arrived safely and it is perfect!! Thank you so much!! 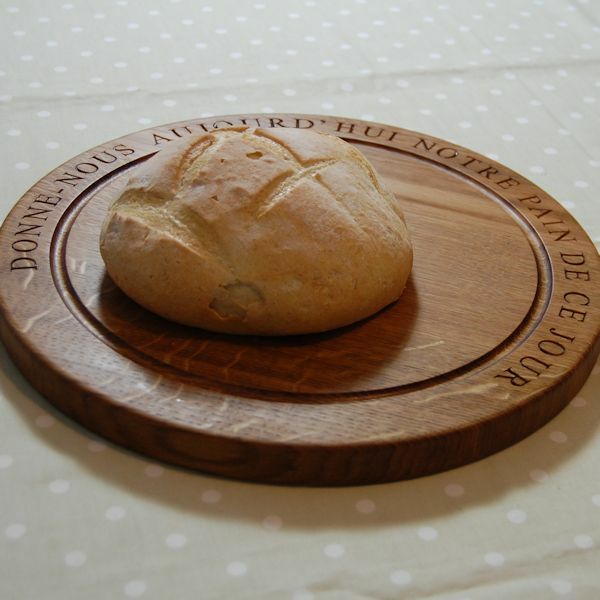 I just wanted to confirm that the bread board arrived on Thursday here in Madrid and it is great! Even nicer than I had imagined so I’m sure the recipients will be delighted when they see it. I am very grateful to you for doing it and getting it to us so quickly! Really appreciated the personal emails to ensure that the wording and motif were as we wanted. We selected the gift-wrapped option so haven’t actually seen the final product yet as it is a present. However, it arrived beautifully wrapped and the service was excellent. We will no doubt be seeing the board soon. 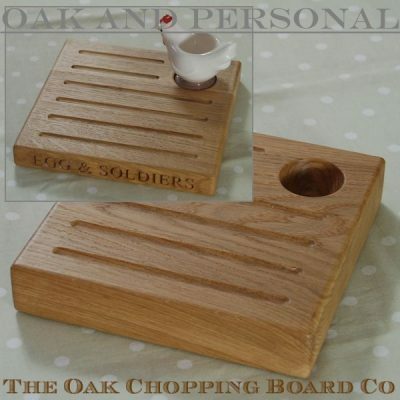 The chopping board was given to the happy couple today and they were delighted. So was I with the service you gave. All wonderfully straight forward. Thank you. Fabulous wedding present for my brother and soon to be sister in law. 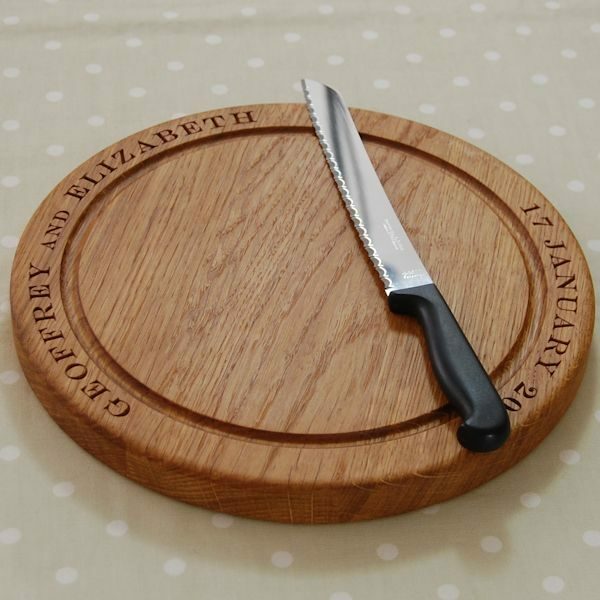 Beautifully engraved, helpful personal service, nice chunky board. Thank you. The board has arrived thank you. Gift packaging and card look just lovely! Hope for more lovely events this year as LOVE this item. I just love my new board! It is exactly what I wanted and lovely and solid and the quality is excellent. 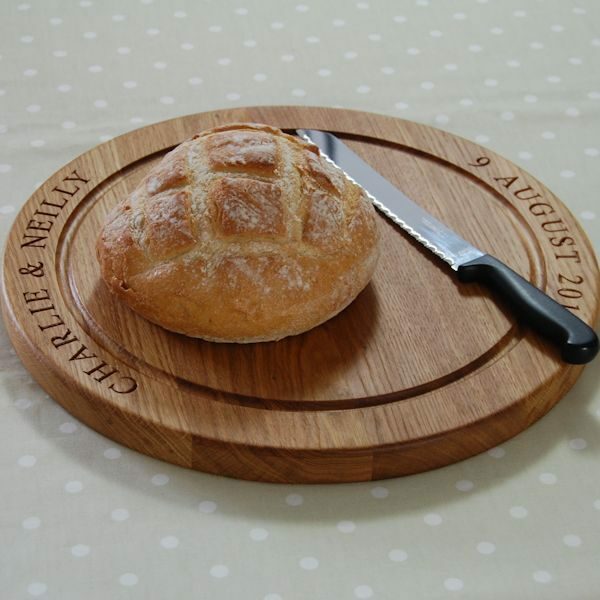 The bread board arrived safely thank you and we’re thrilled with it – a lovely piece of craftsmanship which will be an enduring reminder of their wedding day for my son and his wife. Thank you for providing such excellent service – we will certainly use you again in the future. 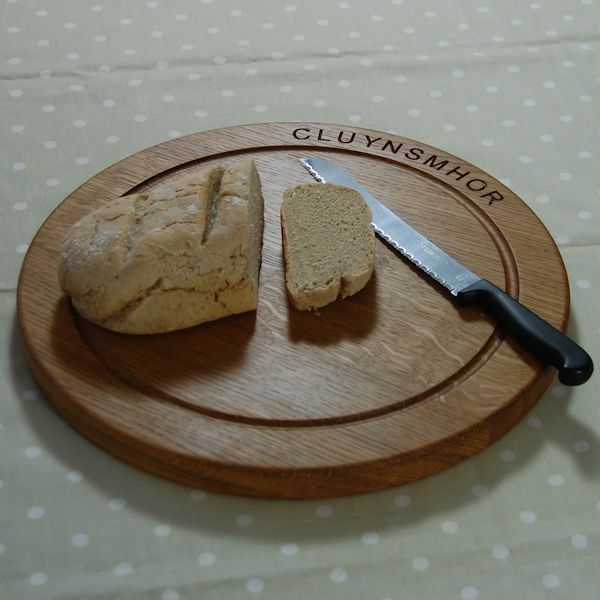 The bread board has just arrived. 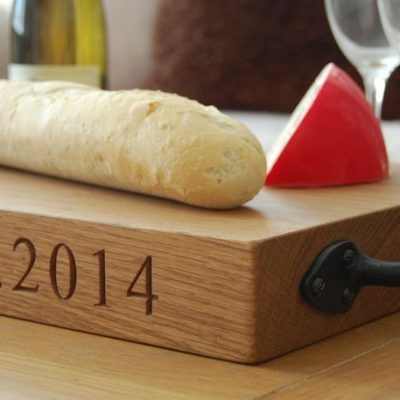 It’s perfect, and I like it very much – I’m sure my niece and fiancé will too! Many thanks. 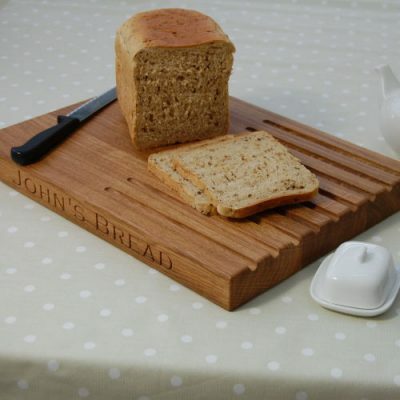 Our friends were absolutely thrilled with their bread board. They have noted your website and plan to use you for wedding gifts in the future. The quality was outstanding! Thank you so much!